Oh, the late 90s/early 2000s. 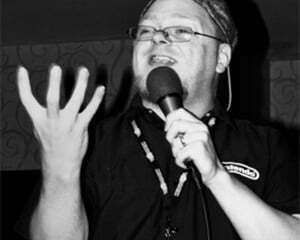 In-line skating, graffiti, techno-infused Japanese pop, and the Sega Dreamcast ruled my life, in and out of gaming. It was a better time, a simpler time. However, nostalgia can be a funny thing. What was a fond, fun memory once before may not hold up as well almost 12 years later. For example, I was never good at in-line skating, and I'm still pretty terrible at it now. The same can be said for a lot of things. 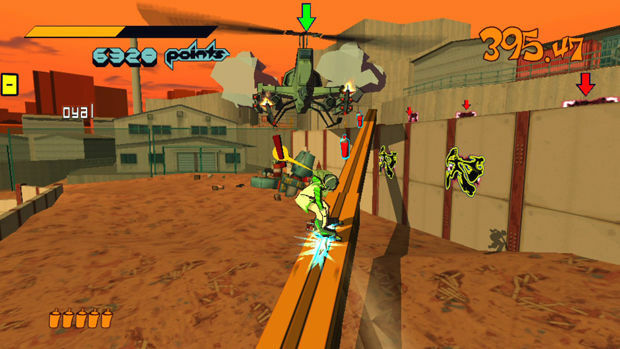 Is the new HD re-release of Jet Set Radio one of those? 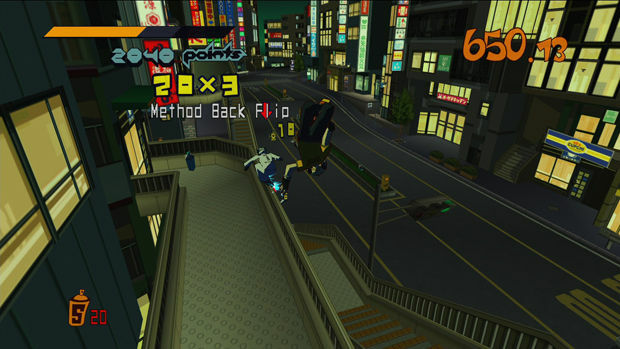 The concept of Jet Set Radio is fairly simple: street gangs tag neighborhoods and speed about the city on hi-tech in-line skates while avoiding the police and rival gang members. Tagging is done with directional motions on the analog stick, and tricks are performed almost automatically as you grind on rails, wallride, and flip about after jumping. The whole experience is offset by the game's striking cel-shaded visuals and diverse soundtrack of J-pop, techno, and hip hop tracks. On the plus side, the HD visual upgrade is fantastic. The cel-shaded graphics popped back in the day, but the widescreen presentation and updated resolution really help this title shine. When compared to the original, this new version just seems so much brighter. The dark outlines give everything a graffiti quality, not just the art you're so intent on tagging onto walls and the occasional person. The HD coat of paint works well, and series fans will be thrilled to know that, except for two tracks, all the songs from every regional version of the game are included -- to be honest, I don't even remember which ones didn't make the cut). However, when it comes to the gameplay, you'll find not much has changed. This is not necessarily a good thing. While the techniques are simplistic in their execution -- your skates magnetically attach to any grindable object -- you'll find yourself fighting with the camera and clunky movement controls, just as you did with the original. The skaters all perform like bricks on wheels -- not much tight handling -- while the tagging motions are hit or miss in their responsiveness. Tagging is often an analog stick quick time event, and time management in choosing your tagging areas is key, as after a certain number of targets are tagged, stronger police forces are unleashed. The analog controls are actually not as responsive as one would want, which is made all the more difficult when trying to tag while being bombarded by tear gas and gunfire. 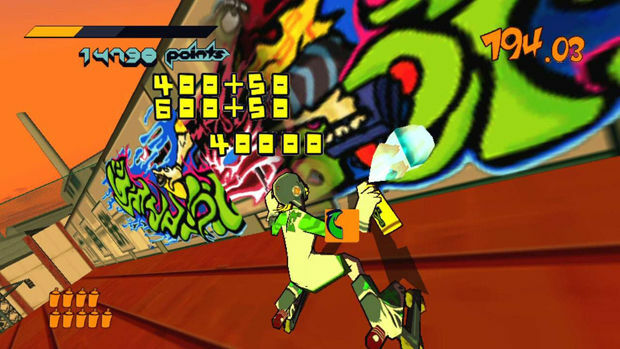 These were the same issues I had with the original when it was released on Dreamcast, and I was hoping there would be some improved controls in this HD release, as there were in the pseudo-sequel Jet Set Radio Future. While minor camera control is now mapped to the right analog stick, there are still prevalent clipping issues, and the presentation tends to block visuals at the most inopportune times. As the game cuts away to watch the cops frustratingly stomp their feet as you make a daring leap away, you remain in motion, so by the time the view cuts back to you, you have to quickly orientate your character so you don't fall or get caught just as you escape. This is only exacerbated by the lengthy fall or trip animations as you helplessly tumble from heights. It pains me to say it, but I may have been a little blinded by nostalgia on this. I played the original a bit again before playing the new version for review, and while the updated visuals were a stunning improvement, the fact that not much else was expanded upon is a bit upsetting. 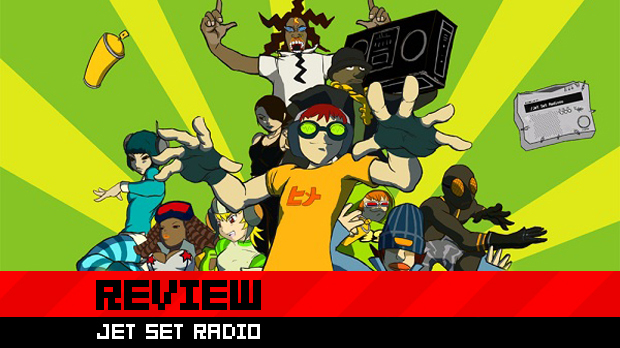 Jet Set Radio is still a fun title, but also a frustrating one. If you've never played the game before, you may be left wondering what all the hype was about. It may be a good game, but if it had been released for the first time today, many would see it as unfinished.